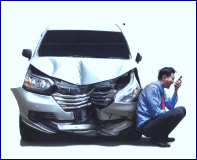 ARCCA Blog | How can you tell if an auto accident is staged? HOW CAN YOU TELL IF AN AUTO ACCIDENT WAS STAGED? ARCCA Accident Reconstruction Expert Bill Brem answers that question in his latest article, which appears in the Summer issue of SIU Today Magazine. When claim losses just don’t add up, an accident reconstructionist can help determine whether any damages claimed could have actually occurred as reported or whether they are staged. Bill provides a case study example and photos in his article, detailing how he discovered a fraudulent claim in one of his recent investigations. WILLIAM BREM, AS, ACTAR is an ACTAR-Certified Accident Reconstructionist at ARCCA, where he analyzes a variety of collision situations and claims relating to staged accidents, insurance fraud claims, motorcycle/pedestrian accidents, traffic violation assessments, police report and procedure analysis, speed analysis, visibility studies, perception/reaction time, and vehicle dynamics. He also has extensive knowledge of CDR (airbag) downloads.